You are a first time home-buyer and you’ve just closed on the house that you have always dreamed of. You walk inside and breathe a sigh of happiness knowing that it’s finally yours. And then the sudden gasp of realization that its 10 days before Christmas and you have no decorations in place! 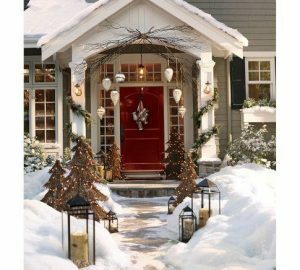 Not to worry, here are 5 fast and easy ways to spruce up the Holiday spirit in your brand new home.Nothing makes a home more inviting and festive than one filled with holiday smelling candles scattered sporadically throughout the house. * Besides there is a chance that your new home will still smell like paint, so the candles will be a nice cover up for this little problem. * Decorate several Dwarf Alberta Spruces and watch these little plants transform into an adorable set of mini-Christmas trees! 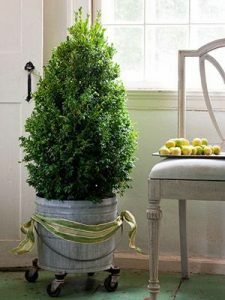 * Start a new family tradition and get the kids to make strands of cranberries or popcorn to embellish the look.To make an easy dining room table centerpiece take a bowl and arrange a pyramid of brightly colored ornaments and fill in the extra spaces with loose evergreens to get the more natural look. * String ribbon bows along the banister of your staircase. Pick your favorite holiday color for the bows or mix and match colors to get a more eclectic Christmas feel!To give your home a final Texas touch, top your tree with a lone star. 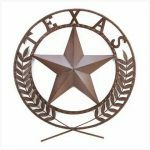 * Your Northerner in-laws may not get it, but your true Texas friends will admire your pride for the Lone Star State. Hopefully these quick and easy holiday decorating tips will relieve some of your holiday stress and get your brand new home in shape for the holiday season. To find out more information about new homes visit New Home Source! Wishing you and yours Happy Holidays!